Scientists have obtained the first image of a black hole, using Event Horizon Telescope observations of the center of the galaxy M87. The image shows a bright ring formed as light bends in the intense gravity around a black hole that is 6.5 billion times more massive than the Sun. This long-sought image provides the strongest evidence to date for the existence of supermassive black holes and opens a new window onto the study of black holes, their event horizons and gravity. Credit: Event Horizon Telescope Collaboration. For the first time ever, scientists have captured an image of a black hole, and a Missouri S&T graduate played an important role. 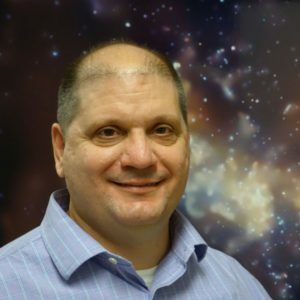 Dr. Frederick K. Baganoff, a research scientist at the Massachusetts Institute of Technology’s Kavli Institute for Astrophysics and Space Research, is among the collaborators on the international Event Horizon Telescope project to produce the first direct images of a black hole. Baganoff earned a bachelor of science degree in physics from Missouri S&T in 1985. Baganoff and over 200 scientists worldwide announced this breakthrough on Wednesday, April 10, in a series of papers published in a special issue of Astrophysical Journal Letters. The researchers released four images of a supermassive black hole at the center of Messier 87, or M87. M87 is a galaxy within the Virgo galaxy cluster, 55 million light years from earth. The images were taken by the Event Horizon Telescope (EHT), a global array of eight radio telescopes, each in a remote, high-altitude environment, including the mountaintops of Hawaii, Spain, Chile and the Antarctic ice sheet. S&T recently expanded its astrophysics program by joining the Laser Interferometer Gravitational-wave Observatory (LIGO) Scientific Collaboration of researchers dedicated to detecting cosmic gravitational waves. This research explores the fundamental physics of gravity using the emerging field of gravitational wave science as a tool for astronomical discovery. Leading S&T’s new astrophysics initiative are newly hired physics faculty Dr. Marco Cavaglia and Dr. Shun Saito. 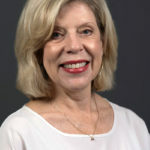 The program will train scientists who will extend the legacy established by alumni such as Dr. Frederick K. Baganoff; NASA astronauts Thomas Akers, Dr. Janet Kavandi, and Dr. Sandra Magnus; NASA scientists Ron Epps and Paul Blackmon; and university faculty Dr. John Asher Johnson of Harvard University. Nice. Only that the country is Chile, the food is chili.